The process of enforcing the North Carolina General Statutes pertaining to the City of Burlington’s Code of Ordinances ensuring citizens and visitors with safe, clean and healthy places to live, work and play. We are a complaint driven department and react as quickly as possible. Code Enforcement aims to preserve and enhance the safety, appearance and the economic stability of our City. Click the orange "Report a Concern" button below. 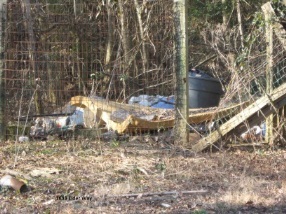 When complaints are received a Code Enforcement Officer is assigned to the site of the potential violation, if there is a legitimate violation the Officer will post the property with a “red” Notice sign in the yard and the owner of the property will receive two letters one will be sent via regular mail and the other will be sent as a registered letter. The letter states what the violation is and lets them know they have 10 days from the date of the letter to comply. 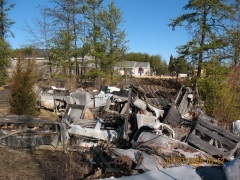 The Officer will go back to the site on the 11th day to inspect the site. What happens if there is no compliance? 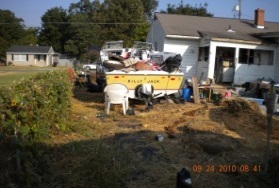 Our Code Enforcement Officers work closely with citizens to assist in the abatement of the violation. 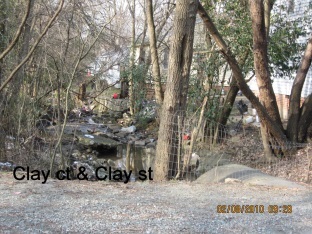 If the owner does not correct the violation by the 11th day the Code Enforcement Officer will go back to inspect the site and if it is not cleaned-up they will be assigned a City approved Contractor to clean it up and the charges of the clean-up plus a $100 administrative fee will be attached as a lien on the property. However, if there is more than one violation at a specific property within a calendar year the owner is charged an automatic $250 fine and potential contractor fees. Any growth of weeds or other vegetation to a height of 12 inches, or any rank vegetable growth that exhales unpleasant and noxious odors, or that may conceal filthy deposits, or harbor insects or any offensive matter or thing, whether that same be upon occupied or vacant premises. Any accumulation of animal or vegetable matter that is offensive by virtue of strong odors or vapors or by the presence therein of rats, mice, snakes or vermin of any kind. An open place of concentration of combustible items such as mattresses, boxes, paper, automobile parts, tires and tubes, garbage, trash, refuse, brush, old clothes, rags or any other combustible materials or objects of a like nature. 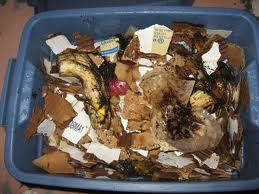 An open place of collection of garbage, food waste, animal waste, or any other rotten or putrescible matter of any kind. An “Open Place” is defined as an area of property or portion thereof that is open, including building openings of residential dwelling units that are open to the exterior, such as attached carports or porches and other exterior portions of properties ordinarily exposed to public view. Hides, dried or green, provided the same may be kept when thoroughly cured and odorless. Any furniture, appliances, or metal products of any kind or nature openly kept that have jagged edges of metal or glass or areas of confinement. 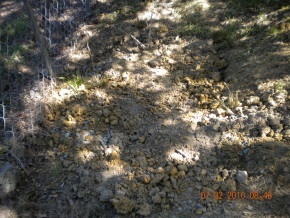 Any condition that blocks, hinders, or obstructs in any way the natural flow of water in swales, surface waters, ditches, or drains to the extent that standing water is created on the premises. Any other condition of a property that is considered dangerous, offensive, or obtrusive to neighboring property.